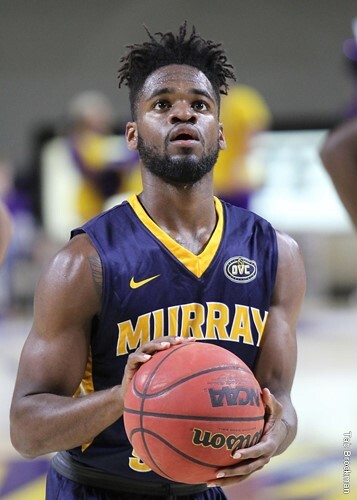 Murray State’s Jonathan Stark was named to the 2017-18 Lou Henson Award preseason Watch List as announced on Wednesday by CollegeInsider.com. The Lou Henson Award is presented annually to the nation's top Division I mid-major player. The award was started in 2010 and in March, the Henson Award will be handed out for the ninth time. Stark, a senior from Munford, Tennessee is a returning All-Ohio Valley Conference First Team selection from the 2016-17 season and was named as the OVC Preseason Player of the Year this fall. He’s the first MSU player to be honored as the OVC’s preseason top player since Cameron Payne prior to the 2014-15 season. Stark and teammate Terrell Miller give the Racers one of the best one-two punches in all of NCAA D-I as the second-leading returning duo in the nation in combined scoring at 37.9 points per game. Last season, Stark set a Murray State single-season record with 108 made 3-point baskets and led the OVC in scoring with 21.9 points per game. Counting Stark, the OVC had three on the Henson watch list including Austin Luke of Belmont and Nick Mayo of eastern Kentucky. Lou Henson coached 41 years and when he left the game in 2005, he was sixth all-time in career Division I wins with 779. He is the winningest coach at both Illinois and New Mexico State. He is one of only 12 coaches in the history of the game to take two schools to the Final Four. The 2017-18 Lou Henson National Player of the Year Award will be announced on March 31, 2018 at the CollegeInsider.com Awards Event in San Antonio, site of the men's NCAA Basketball Championship.